Hello ladies and gentlemen, welcome to another round of Beat of the NFC East. Let’s review where we are with predictions: 19-11-1 with winners and losers and 16-15 against the spread after a 1-1 straight up and a 1-1 against the spread in Week 17. Now we move to the playoffs. PLAYOFFS!?!? The Eagles did exactly what I said they’d do two weeks ago: They ran the table. Honestly, whether it makes an ounce of sense or not, even if Dallas had given their top guys the go for the whole game, I’d have picked the Birds to win. The Cowboys had nothing to play for. The fact that Howie Roseman got anything for Mark Sanchez is incredible. He traded two quarterbacks this team didn’t want and got solid draft pick compensation in return. Let’s give a little credit to him for that even though the rest of the season went down in flames. Most of us expected that going in, but we raised expectations at the phantom 3-0 start, particularly after the dismantling of the Pittsburgh Steelers. At the end of the day, though, they are what we thought they were … just not ready yet. The Redskins needed to win, and they failed. Spectacularly. The NFC East could have sent three teams to the playoffs. Instead, the Redskins laid an absolute egg against the Giants, who are riding the wave into Green Bay for a Wild Card matchup. I like that Ben McAdoo didn’t rest his starters. Sometimes, guys need an extra week to heal up. But, in this case, the Giants really needed to keep rolling and keep their confidence up. McAdoo was the guy I wanted for the Eagles’ job and he’s showing why. The Giants surely didn’t look like an 11-5 team on paper. I foolishly wrote the week the Birds played Green Bay that the Packers were cooked and had absolutely nothing left in the tank. Aaron Rodgers gave the new version of his R-E-L-A-X speech and the Packers ran the table. He did it by throwing 15 touchdowns over the final six games, including eight in his last two, to lead his team into the playoffs. That’s what a franchise quarterback does. On the other side of the field is Eli Manning. Manning has only two games north of 200 yards passing in his last six, and has thrown nine touchdowns against six interceptions in that span. Now he goes to Green Bay … on the road … hmmm. I don’t want to hear any comparisons to Manning going on the road in 2008 and knocking off the Packers at Lambeau. He was facing a 38-year-old Brett Favre who had thrown seven touchdowns against six picks to close out the regular season. This is the same Favre that had thrown for less than 200 yards in the Green Bay victory in the playoff opener against Seattle. Favre was 6-0 in the playoffs at Lambeau before the age of 33. He was 2-2 after the age of 35. Manning will be 36 when he walks into Lambeau on Sunday and the high temperature for that day is scheduled to be 15 degrees. That’s not a good combination, even for a quarterback as durable as Manning has been. How New York can win: Let’s remember that Manning hasn’t played a playoff game in almost five years. His last was the Giants’ Super Bowl win over New England. His playoff résumé is also overblown. Eli has a solid postseason record at 8-3. He has two Super Bowl wins, but in that first game, it came down to a couple big throws [and a miraculous catch] where he didn’t play well for a significant portion of the game. In his second Super Bowl, he was very sharp, and that’s what the Giants need for them to win here. Odell Beckham, Jr., Sterling Shepard, Manning and the rest of the crew have to step up against the depleted Green Bay secondary that have allowed the second most passing yards behind only New Orleans. The Giants’ running game is not good, but it’s been steadily improving since giving more work to Paul Perkins. He’ll have to play big here. The Giants have run for 93, 114, 114, and 161 yards in the last four weeks, respectively. That’s going to have to continue here for New York to have balance and have a chance. How Green Bay can win: This is one of those irresistible force vs. the immovable object scenarios. The Packers have been north of 30 points over their last four, averaging an insane 34.25 points per game over that span. The Giants have allowed only 11.75 points per game in the same four games. I’m a believer in Green Bay this playoff season. I think that they’ve got every chance to run the table and be the NFC Super Bowl representative. They’ve been playing what amounts to win-or-go-home games for six straight weeks and won them all. I don’t see any reason why this should be any different. Rodgers is locked in. We touched on how well he’s played in terms of TDs vs. INTs over the last six weeks. Let’s now get into the fact that he’s averaging almost 278 yards per game and completing over 71% of his passes in that span. I believe that a great quarterback can always find the holes in a great defense, and right now Rodgers is playing at the top of his game. 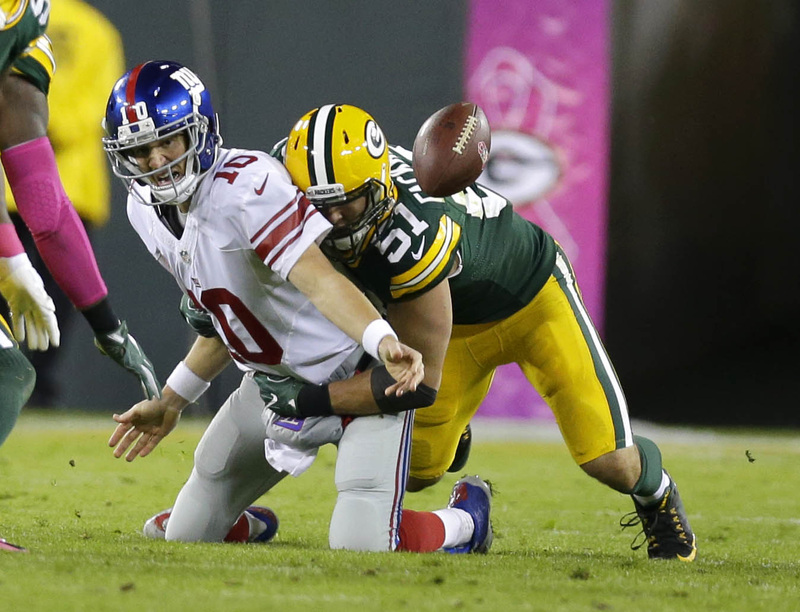 Green Bay already knocked off the Giants in Lambeau in October. This shouldn’t be much different. Final score: Green Bay 28, New York 20. If betting were legal: Take the Packers laying the points. Well folks, that’s it for this week. Don’t forget to check out all the other great content here at the site. Our writers are tremendous and tackle some really strong content. I’ll see you next week with a review of all the playoff action in the NFC East, and a preview of the playoffs’ second round. Will the Giants still be around next week? I don’t think so. But if they are it could be a really interesting rest of the playoffs with a potential Dallas-New York NFC Championship. Is that a Philly fan’s greatest nightmare? It might just be. Want to discuss the column or football in general? Find me on Twitter (@faux_philly). Thanks for reading and have a great weekend of great playoff football!